We hand-select our mouldings from over a dozen different vendors to ensure a wide selection of beautiful, top-quality frames in all shapes, styles and finishes. Whether you are looking for a low-profile metal poster frame or a 24K hand-gilt frame with Victorian embellishments, we have it! 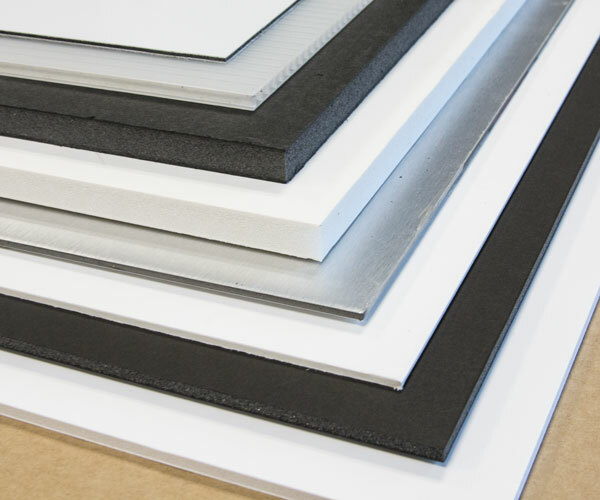 We also stay away from frames that are made from inferior products like plastic and MDF (particle board). We make sure our frames live up to our extremely high quality standards before we let it go on our display walls or your wall at home! We have one of the largest selections of frames on display to choose from. Our collection includes over 2000 frame choices with hundreds of them in stock. If we don't have what you are looking for, we can find it for you! For more information about the types of frames you can use, please see "Frame Types" and "Frame Suppliers and Material Vendors." If something is worth framing, it should look great and last. That is why we only sell acid-free archival matting. Archival mats are designed to last and protect your artwork for generations. Our diverse collection includes over 500 mats to choose from with most of them in stock. The collection includes everything from simple whites, bold colors, silks, suedes to hand wrapped fabrics. One of our specialties, that most stores cannot offer, is our custom printed mats. With our printing technology we can make you a mat in specific colors and designs. We also do beautiful hand painted french mats and fillets. We have an assortment of glazing options to choose from too! U.V. filtering is what we recommend to protect your artwork from fading and deterioration. We offer shatter-resistant acrylic and regular glass both of which come with U.V. 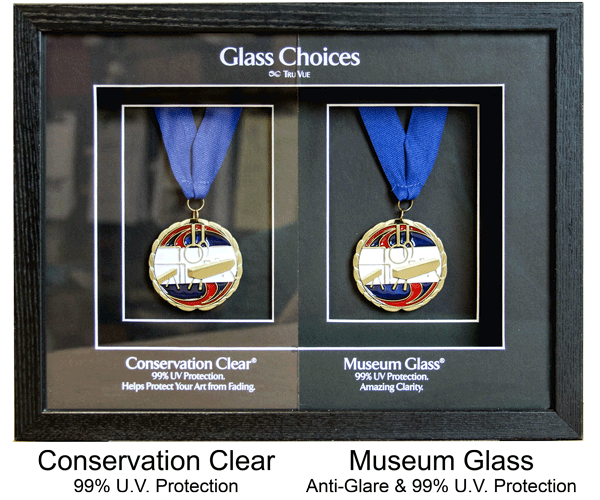 protection and are available with the ultimate in anti-reflective coatings; Tru Vue Museum Glass and Optium acrylic glazing. Fillets are one of the best supplies for adding an elegant edge to your artwork. 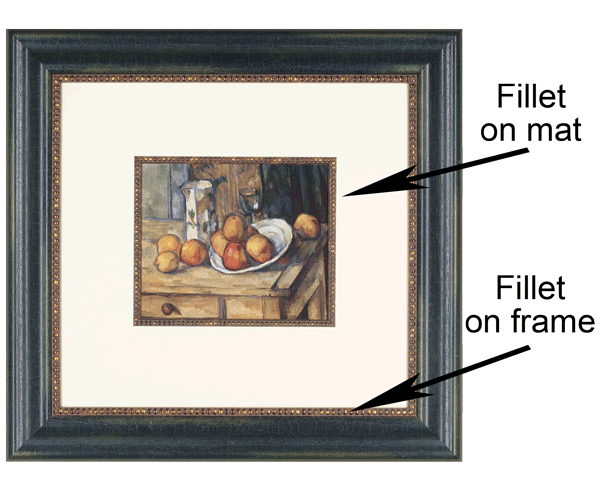 A fillet is basically a miniature frame, offering a line of three-dimensional embellishment to any framing combination. The fillet can be used in two ways: along the inside edge of the mat, on the border between mat and image, or along the inside lip of the frame for a bit of extra detail along the outside of the mat. Usually the least-considered piece of any frame, the backing is one of the most archivally important. We offer an acid-free foamboard which is sturdy and lightweight, but will not cause yellowing or acid-burns on your artwork in the long run. 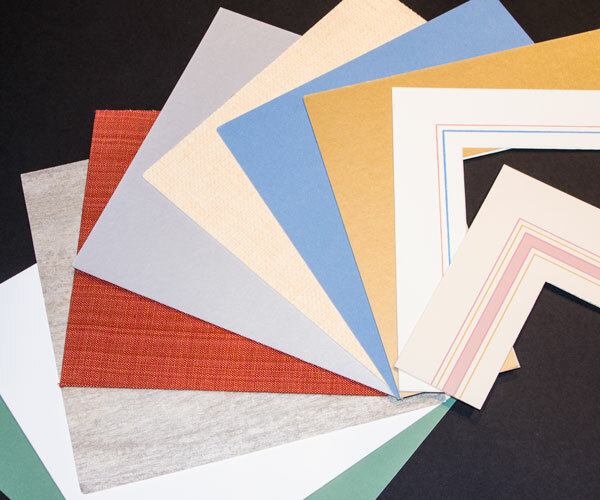 For fabrics and other heavy substrates, we have everything from canvas stretchers to masonite and aluminum panels.